We craft journeys for the socially-conscious traveler who wants to express their style, make an impact, and see some of the most amazing destinations along the way. GST Client Fan Mail From The Road! 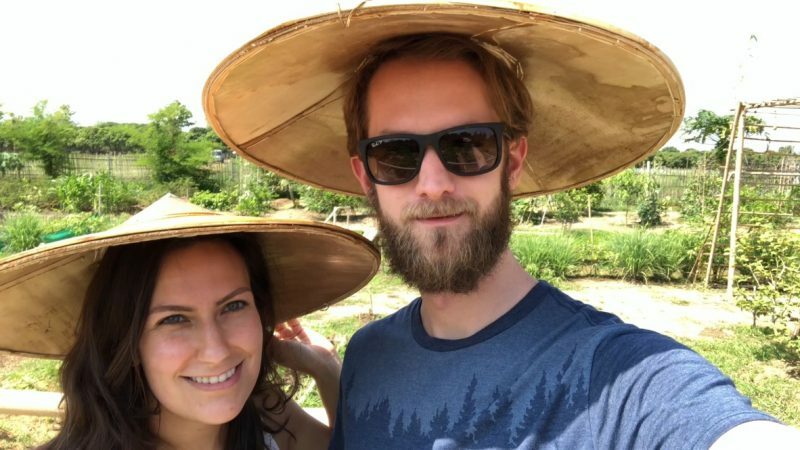 My partner and I hired Green Suitcase Travel to help us plan a sustainable vacation to Thailand. Misty was fantastic! There are so many places to stay and things to do in Thailand that it can be overwhelming. Misty really helped us narrow down the options by coming up with a vetted list of hotel recommendations and activities that promoted sustainability and supported the local communities. One thing that I really appreciated was that she listened to what our goals and intentions were and came up with an amazing list of possible activities and places to stay that corresponded with what we wanted to do. Another thing I appreciated is that we still felt like we had control over our vacation and Misty helped orient us towards sustainability. Misty was communicative, responsive, helpful, and just as enthusiastic as we were for our trip! We 100% recommend Green Suitcase Travel for anyone who is looking for a travel agent geared towards sustainability and supporting local culture! Misty Foster and Green Suitcase Travel (GST) were integral in helping my wife and I to fully enjoy our Italian honeymoon experience. From the macro (what regions to visit) to the micro (specific accommodations and activities in each destination), Misty and GST provided detailed info and suggestions based on our specific hopes and traveling style. The result-- a breathtaking and exciting, while also relaxing and rejuvenating trip. Highly recommended! We found Green Suitcase Travel (GST) through a friend, and I am so grateful a travel company like this exists! My boyfriend and I like to live with purpose, so traveling on purpose for a romantic getaway to Montreal, QC was a perfect fit for us. We planned to spend two days and three nights in the city and asked GST to provide options for accommodations, activities, sights, restaurants, and night life on a graduate student budget as well as information on local customs and norms. GST went above-and-beyond to present various opportunities for nontouristy tourism, starting with a detailed list of neighborhoods and accommodations tailored to our values and interests. We received links and descriptions for accommodations ranging from locally-owned Airbnb studios to boutique eco-friendly hotels. We chose a hip studio in Mile End where we could cozy-up at night and set out for miles of exploration by foot and metro during the day. We are wanderers who enjoy outdoor adventures, art, and live music, so GST crafted a thoughtful list of city parks, gardens, public murals, galleries, restaurants, food tours, and bars with live music. Basically, GST gave us a menu of the best locally run and/or sustainable activities and venues in the city. We dined on fresh gnocchi smothered in homemade tomato sauce from the smallest Italian restaurant in the world, got lost in the trees and views of the city from Parc de Mont‑Royal, learned to play bocce ball with Québécois, enjoyed our own walking tour of Montreal’s incredible public art and diverse neighborhoods, and spent hours in the enormous vintage haunt, Eva B. Montreal is amazing, and GST helped us explore it with ease and intention. We’ll definitely return to GST as our gateway to sustainable travel and adventure.